The new Jeep Cherokee is a popular SUV that drives as great as it looks! It offers so many features drivers want in a vehicle, including power, great performance, style, technology and so many safety features. 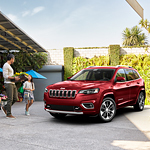 Stop at Betten Baker Chrysler Dodge Jeep Ram, and get all the facts on the Jeep Cherokee. We’d love to show you the many safety features. Here are two popular safety features. Blind spot monitoring is always there watching out for you. 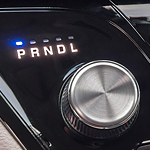 If there are any vehicles in your blind spot, the radar-based sensors detect them and will alert you. Families who need a vehicle that is capable of handling the rigors of day to day life need look no further than the new Jeep Wrangler. As well as being practical and reliable, this fantastic compact SUV is just packed with handy capability features. The Betten Baker Chrysler Dodge Jeep Ram team believes that drivers who like to go off-roading will particularly appreciate the new Wrangler's articulation capabilities. By providing the suspension and axles with the flexibility they need, the Wrangler can maintain traction while traversing over just about any terrain. No modern vehicle is complete without some high-tech features in the cabin. 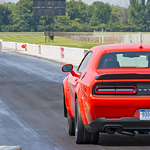 Dodge has you covered with the new Challenger. This beloved muscle car is available at Betten Baker Chrysler Dodge Jeep Ram with a robust infotainment system that can enhance the way you approach the road. 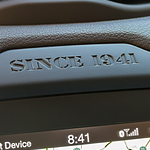 Drivers in Big Rapids will appreciate the functionality that the UConnect 4C NAV system has to offer. It utilizes a large, 8.4-inch touch screen display. The screen is installed on the center of the dash board for easy access. 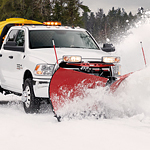 Is the Ram 3500 a heavy-duty truck that you are thinking about buying? This truck is popular at Betten Baker Chrysler Dodge Jeep Ram because it comes loaded with features that provide you with exceptional convenience and efficiency. Let's check out a couple of its exterior features below. 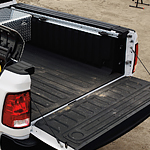 Ram is a manufacturer that engineers some of the best trucks in the automotive industry, and the Ram 2500 has met this standard. Many of our consumers at Betten Baker Chrysler Dodge Jeep Ram prefer this truck because it comes equipped with an abundance of exterior features that offer capability, convenience, and security. Secure a boat on a trailer, and haul the cargo to many destinations in Big Rapids using a Chrysler Pacifica. This automobile has a variety of handy solutions for towing situations, which is why it's an ideal transportation option for outdoor adventurers. First utilized by the U.S. Army for its terrain traversing capabilities and cargo carrying utility, the Jeep brand has successfully engineered its vehicles for the consumer market for decades. The Renegade exemplifies Jeep's popular subcompact SUV design, providing drivers with plenty of comfort in the cabin to match its dexterity on unpaved trails. At Betten Baker Chrysler Dodge Jeep Ram, it is important to our staff that we keep our consumers informed about the models in our inventory so that they can make the best purchase for their needs. The Jeep Cherokee is a popular model at our dealership because it comes with a number of innovative features that provide you with comfort and entertainment. When you are searching for a safe vehicle and you would like to get into a compact SUV, do not overlook the Jeep Wrangler. This is a popular vehicle choice and it is one that is set up with all kinds of features to help you and your passengers stay safe on the road. Jeep has long been synonymous with durable off-road vehicles, which is why they remain popular. The capability of the Compass quickly made it a popular option. 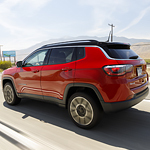 The latest Jeep Compass models continue the Jeep performance tradition. Put their capability to the test by visiting us at Big Rapids. Whether your adventure takes you down the road or off-road, Jeep has you covered. Simply select the 4x4 option that best suits the road conditions and terrain. The Compass is designed to handle water depths of up to 19 inches thanks to underbody insulation or higher ground clearance.